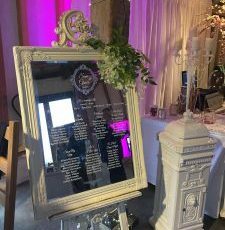 This is an elegant way to display your table plan. We can print this on anything but we just adore it on one of our ornate mirrors! Stand this beautiful mirror on an easel to give even more glam!